Treatment of hypertension. Data are currently not available to support the use of Ramace in renovascular hypertension. Post MI heart failure. Prevention of progressive renal failure in patients with persistent proteinuria in excess of 1g/day. For reducing the risk of myocardial infarction, stroke, cardiovascular death or the need for revascularisation procedures in patients 55 years of age or more who have clinical evidence of coronary artery disease, stroke, or peripheral vascular disease. For reducing the risk of myocardial infarction, stroke, cardiovascular death or revascularisation procedures in diabetic patients 55 years or more with one or more of the following risk factors: systolic blood pressure >160mmHg or diastolic blood pressure >90mmHg (or on antihypertensive treatment); total cholesterol >5.2mmol/L: HDL cholesterol <0.9mmol/L; current smoker; known microalbuminuria; any evidence of previous vascular disease. yellowish to yellow, oblong shaped tablets with,score lines on both sides, embossed 2.5/HMR on one side and 2.5/Hoechst logo on the other. 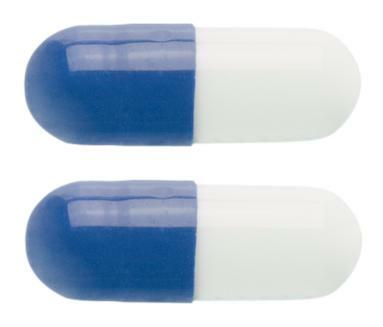 Hard gelatin capsules, size 4, blue opaque/white opaque, containing a white powder mixture. pale red, oblong shaped tablets with score lines on,both sides, embossed 5/HMP on one side and 5/Hoechst logo on the other.